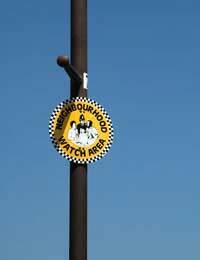 A community home watch group can go by many names, the most commonly heard one is Neighbourhood Watch. But all of these types of groups have the same essential aim – to make it harder for criminals to operate in a particular area by working together as a community. The basic idea is simple – home security and protection is increased and your home made more safe by having lots of people looking out for signs of criminal activity and crime in the vicinity of their homes. It is all about community in action and proves that when people work together, criminals can be thwarted. Each community home watch group is simple but the set ups of them all remain similar, as the basic set up is a formula which works – so why change it? Schemes are supported by the local police force but are run and owned by the local community and their members. Typically, there will be a chairperson, as, like most groups, it is far easier to function when everyone knows who a central point of contact is. The groups will usually have meetings in an easily accessible venue – perhaps a village hall or community centre. These meetings will usually be attended by a representative of the police and perhaps a local councillor. At these meetings, residents can be updated on the security work going on in their area and what police are doing to combat any crime which is a particular problem. They can also raise issues which they think need dealing with – either by the police or the local council. How Does it Cut Crime? A community home watch group cuts crime by people working together. At its most simple point, this means people watching what is going on in their neighbourhood and noting any suspicious incidents. If they think it is suspicious enough, a person can report it to their liaison officer. If they do note, they can log it, so that in the future, if other people have noted similar suspicious activity, they can then notify the police. Another way the group cuts crime is simply be having a presence in the area. Group members tend to display stickers in their windows which tell would-be criminals that a community home watch group operates in the area. This may deter any criminal from committing a crime, as they would be wary of doing something in an area where community spirit could well stop them in their tracks. Fear of crime is often cited by police as a big problem. But by having a community watch group, fear of crime is diminished. This can help all members of the community but particularly those who are vulnerable, elderly, or live alone. If they know that their neighbours and fellow community members are looking out for them and watching to see if any crime is occurring, they will feel safer straightaway. And as any community watch group becomes more established and has more success, this feeling of security and protection will increase in all sectors of the society. A community home watch group is a good idea in any area, whether the crime rate is high or low. It can bring innumerable benefits and not just the obvious ones such as cutting crime and the fear of crime. A group can also help neighbours to connect with each other – something which in this day and age does not always happen automatically. If there is no group where you live, then why not be the one to take the steps to set one up. Where one person starts, others will surely follow and the benefits will be numerous and manifold to all.